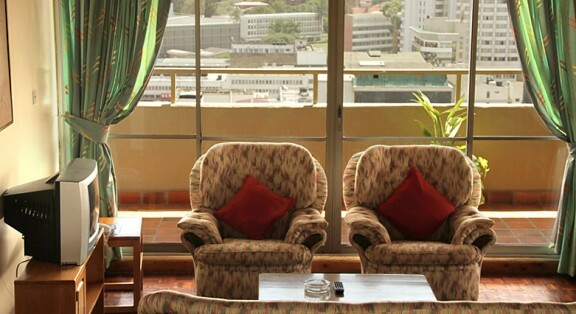 Our prestigious 17th floor Executive Suite offers an unique experience. Spread over two levels, it houses 3 separate bedrooms with 2 bathroom/shower units. On the upper level the living room and dining area open out onto an expansive balcony that can host medium sized gatherings.